The perfect way to educate your prospective buyers and sellers about the process of purchasing or selling a home. Looking to become an expert about about the documents pertaining to your home? Our intro to documents can help. Want to understand your preliminary title report? Our guide can help you understand what your report is stating. The commercial process can be a lot more complicated and intricate than your typical residential transaction. Our guidebook can help you understand the overall process. 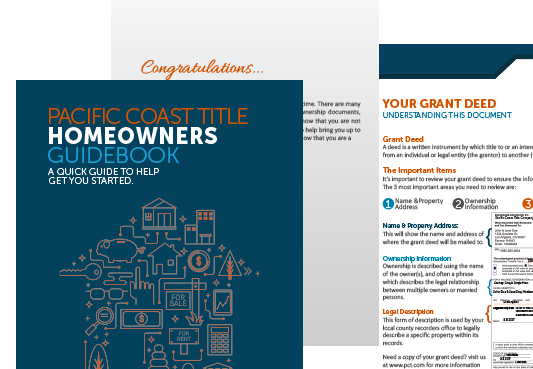 The perfect way to educate first time homeowners about their grant deed, tax dates, fraud, and more. 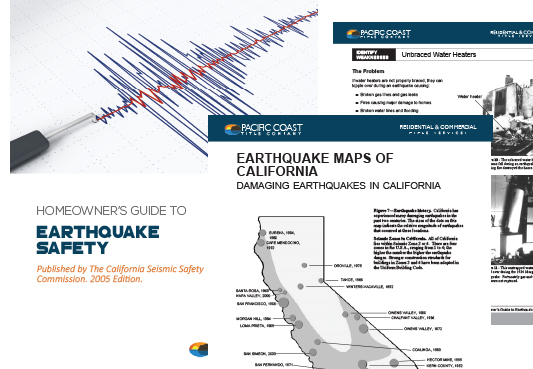 A great way to educate your new homeowners about the importance of earthquake safety and the best practices within the home.